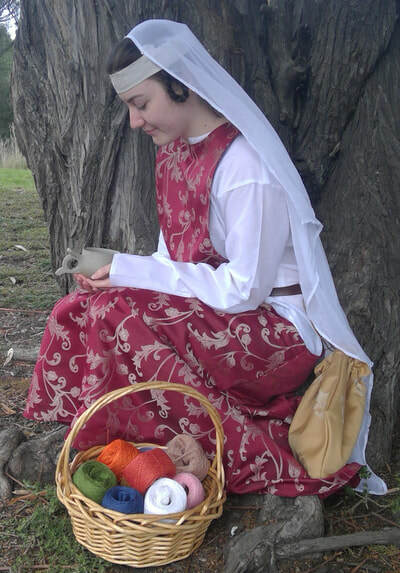 Ylva The Red is a small team of medieval-enthusiasts, based in the northern Melbourne suburbs, focused on the creation of historical and historically-inspired clothing and supplies. As members of the reenactment community themselves, Ylva and her partner Kraki lamented how few local traders carried well researched and well produced clothing made here in Australia. Striving for quality and durability, Ylva then embarked on the project and launched Ylva The Red. 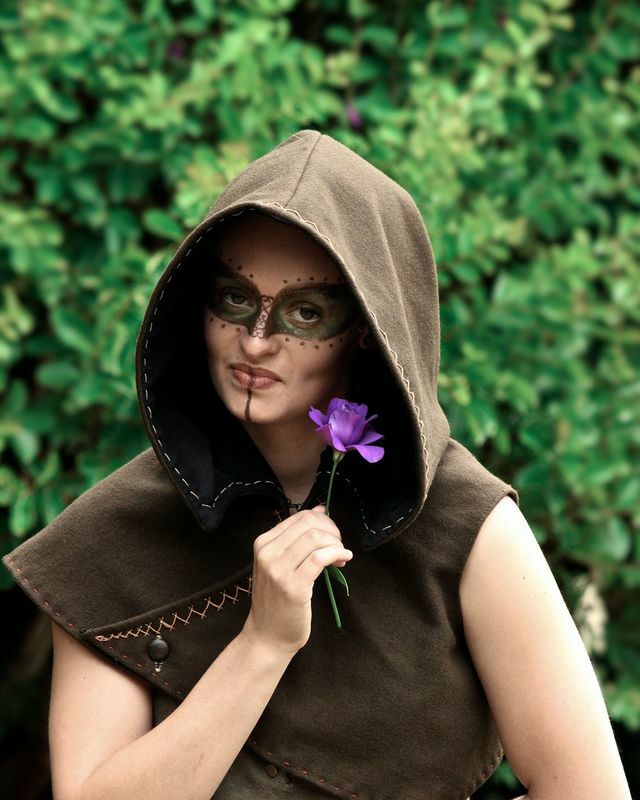 Ylva and Kraki later realised that members of the LARP community were discovering their brand as well, which encouraged them to branch out into historically-inspired items alongside their existing products. Once the brand was an established name in the community, Ylva and Kraki invited Elisaveta to join their team and she has helped the brand to growth and develop with her own perspective and talents. While Ylva The Red carries a broad range of historical and fantasy clothing in stock, the team also offers a bespoke service, allowing customers to have stock items made in colours and fabrics of their choosing, or customers can bring their own design to discuss having something truly unique made just for them! 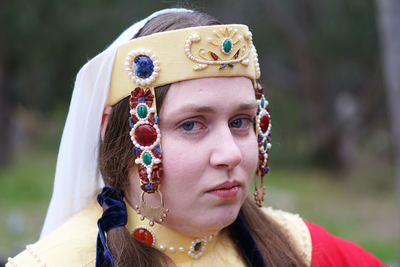 Ylva The Red’s crew regularly attend community events across Victoria and occasionally interstate ones, as well as providing a providing private one-on-one sessions, which individuals can book to discuss their ideas and designs. The careful fusion of history and fantasy give an authentic feeling, allowing you to immerse yourself in times gone by or in a whole new world of you imagining. 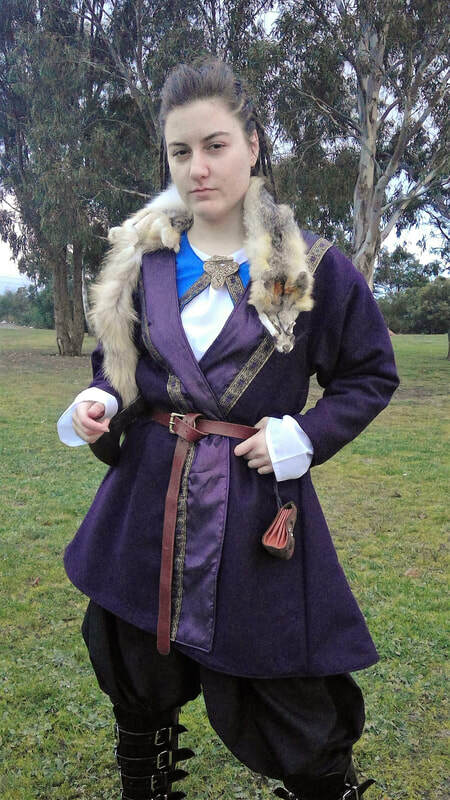 Comfort and practicality are key design elements, so no matter whether you’re a commoner in the marketplace, royalty at court, or a shieldmaiden holding the line, you can look and feel the part in quality custom clothing from Ylva The Red. 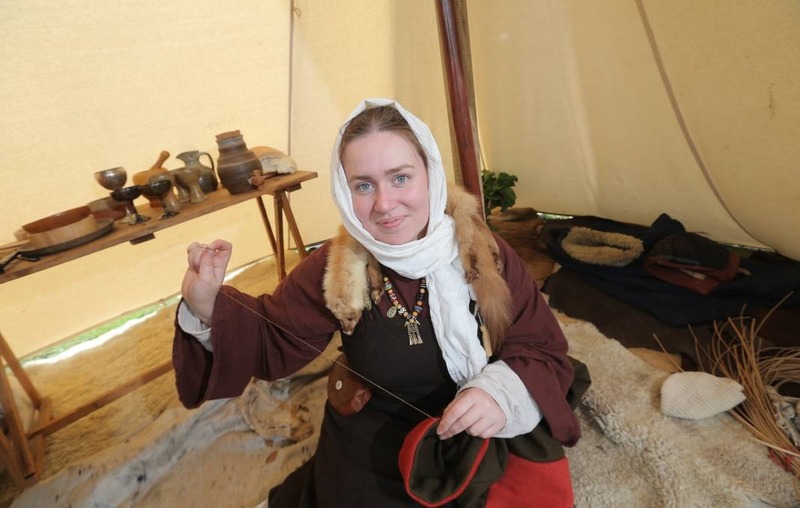 Photos by Ylva the Red, Mathew Howat and Scott Leheny. Models are Sleepless Darkness Cosplay And Modelling and Jacqui Essing.